Steve joined Cleary Insurance in December 2009 as Vice President of Health & Welfare. 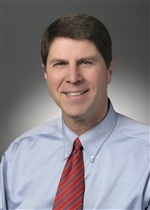 Specializing in employee benefits, he brings more than 25 years of experience, and works closely with clients to define and implement short and long term strategies. In his past life, Steve enjoyed a nine year NFL career (1973-1981) as an outside linebacker for the New England Patriots. He acquired his Health, Life and Accident licenses a short time later.